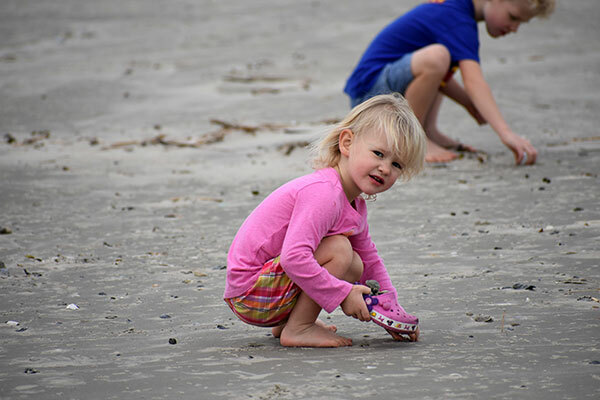 Our favorite thing to do when we visit any beach, anywhere in the world, is to go seashell hunting. We love bringing them home from the beach, filling up a special bottle exclusively for each destination and placing them on display to remind us how much fun we had sifting through the sand for the biggest, most colorful and most perfect seashells. In Cairns, Australia we got lost in the rocks searching out seashells and even found a few baby crabs as we watched the sunset over the horizon. This is just one of the memories we think of when we reflect upon our bottles of seashells. When the kids and I accompanied Gabriel to Long Beach, California a few months ago in October, they were so disappointed to not find a single seashell to bring home that they begged me to find the best seashell beach so we could travel there. 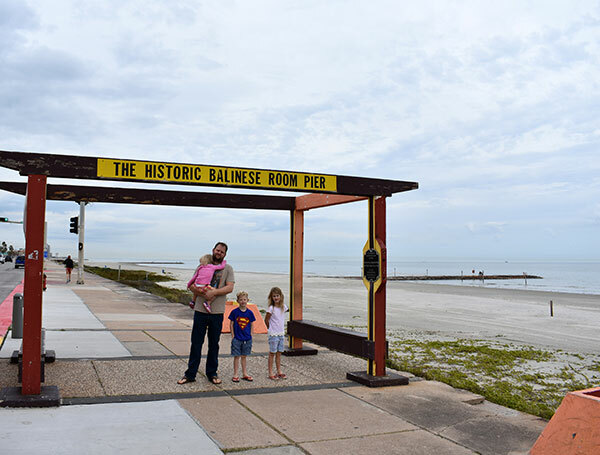 I actually totally forgot to do this, but even so, I did not disappoint on our very next trip and it was absolute serendipity that we found ourselves at our new favorite beach in Galveston, Texas. Seashell Beach, thus christened and named by our family, during our recent visit in December, was exactly what we were looking for. Located just across the street from where we were staying at Hotel Galvez & Spa, this beach was effortlessly close for us to explore. It was unseasonably cold during our stay in Texas, and we only ventured out to the beach because Gabriel had to take a phone call for work. We love happy surprises that create joy and fond memories. The children immediately set to work on collecting shells! 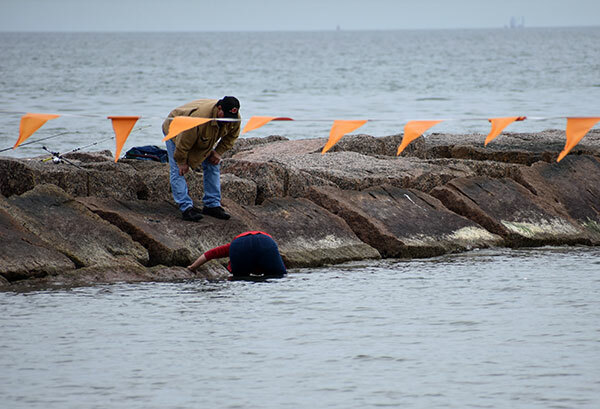 We also witnessed a poor woman drop her phone into the ocean as she and her husband were fishing on the rocky pier. 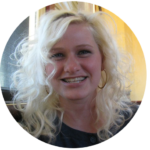 She was screaming frantically, but at first, her husband didn’t understand her plot. After looking around in vain, helplessly grasping in the air for an answer as to what she should do, she finally just carefully waded out into the water. It was quite sad watching her poke around in the dark knee deep water and sand. Determined as she was, it was futile. 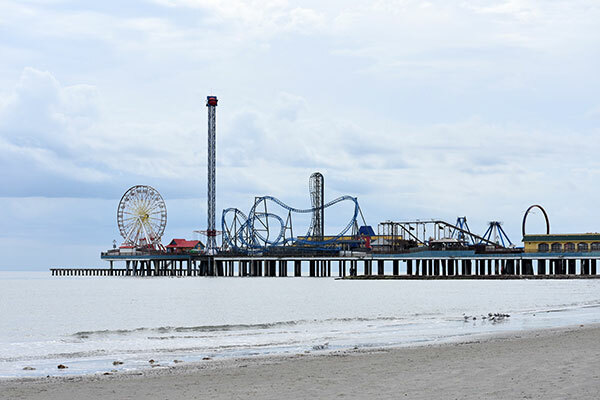 As we were planning to explore the pier that afternoon we didn’t have anything to carry our shells with us. Instead we hid piles of our treasures in the tall grass near the stairs where we could remember saving them and picked them up on our way back to the hotel. They were all safe and intact for us to package up and take home with care when we were done for the day. They made it all the way back home to Utah after first traveling through the Caribbean on a Disney cruise and then through the Norwegian countryside from Oslo to Kirkenes. 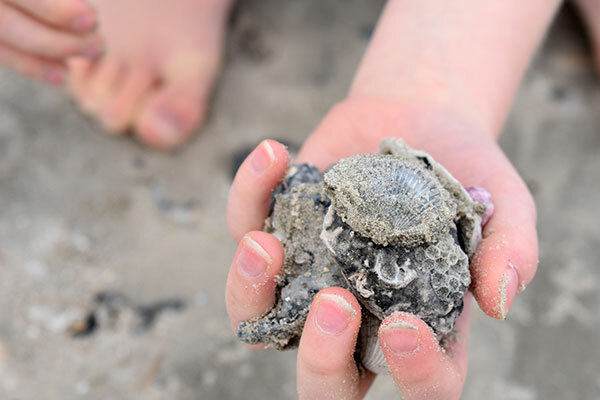 ► For Kids: Seashell beach will keep your children occupied for hours as they root out the most vibrant and stunning shells. 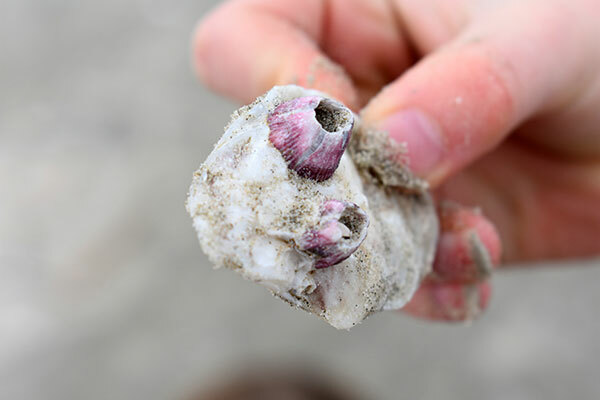 From conches to littlenecks to steamers this is the place to come to world school and learn hands on about where and how seashells travel from the ocean to the shore. 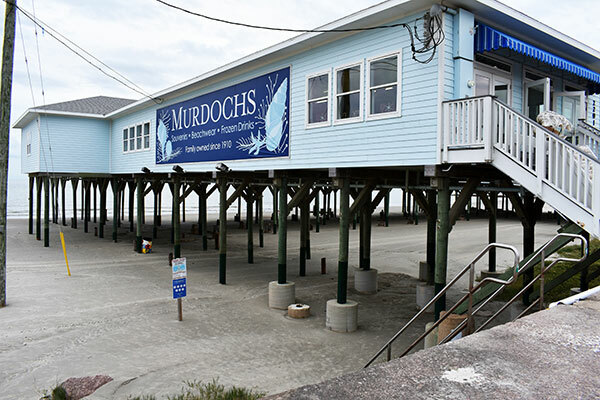 If you don’t find everything you are looking for, take a stroll down the beach to Murdoch’s. Precariously perched over the water, this establishment sells every imaginable type of seashell plus other ocean wares and souvenirs. We aren’t the only ones that think so, even the Travel Channel agrees. 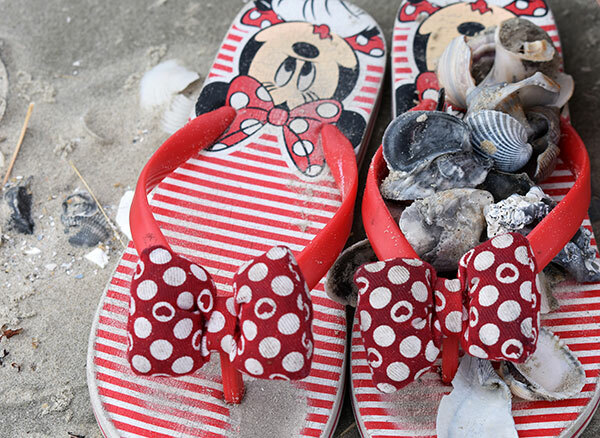 What is your favorite beach to hunt for seashells? We are always looking for new treasures to add to our collection. 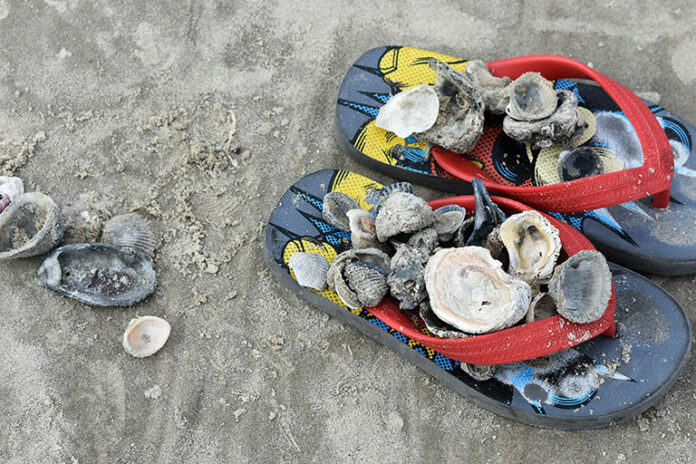 ► Nap-Time Version: The best seashell beach in Texas. 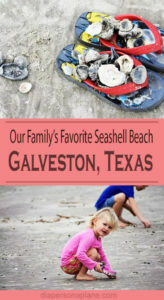 This may have been our favorite seashell beach in Texas, but check out our favorite seashell beach in Puerto Rico! And our favorite place to eat at Miller’s Seawall Grill. Read on about the decadent brownie cake we enjoyed on our first night in Galveston. This information helped so much for my family this weekend. Thank you. So glad to hear that! Thank you!